Hot Toys x Toy Soul 2014 Star Wars and Age of Ultron Figures Posted! Recently blurry images of Hot Toys Boba Fett have been released but no news or information included. Today an official images has been leaked and confirmed that Boba Fett will be released as 1/4 scale! 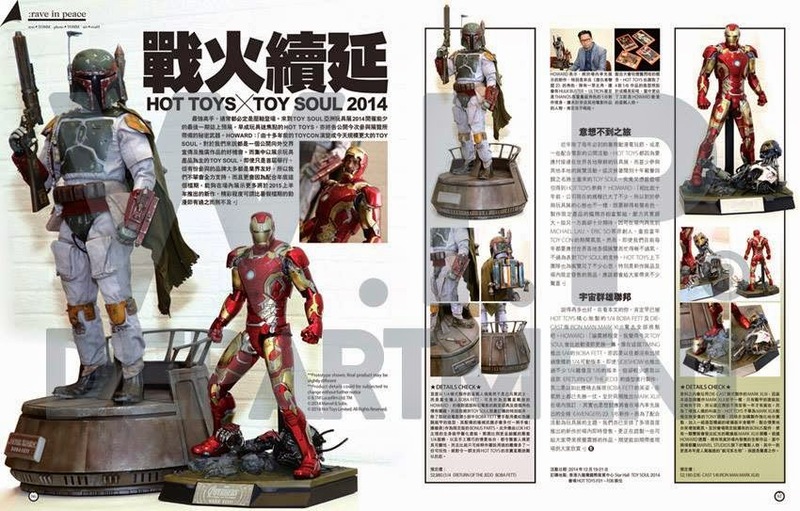 Another great news is the sneak peek of Iron Man Mark 43 from Avengers 2 Age of Ultron! Looks like it will include battle damaged armor and much more interactive display base featuring battle damaged Ultron infected corpse! No translation of the article available yet but will update post as soon as it's available.